What is the difference between an antique or vintage rug and a transitional rug? Rugs referred to as transitional are those that blend styles and designs of vintage rugs from times past with modern trends of today’s decorative rugs. These rugs allude to a specific yet versatile style that provides the timeless elegance of traditional rug patterns while incorporating less formality and more eclecticism associated with contemporary rugs. 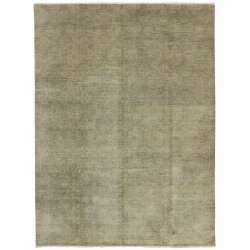 Transitional rugs blend smoothly and freely with all kinds of décor or ambiances. Esmaili’s fabulous showcase of transitional rugs for sale online offers the same comfort, culture and quality found in vintage and antique rugs. We provide an impressive selection of transitional rugs to our clients that combine awe-inspiring elements of enduring traditional and modern designs and styles. Transitional rugs deftly reconstruct traditional rug patterns into fresh, contemporary designs incorporating fashionable colors and trendy features. You will find some of our transitional rugs for sale online bursting with bold shades of yellows, blues, reds and greens paired artistically with clean lines and emphatic patterns. You will also discover transitional rugs making quiet statements with neutral tones highlighted by impactful, yet elegant details. Color palettes of transitional rugs evoke serene, dusk-like atmospheres offering depth and texture with the addition of browns, ivories and grays. Seamless blends of peaceful colors, simply delineated lines and the use of warmth and light artfully combine to create the highest quality transitional rugs you will find anywhere. Esmaili’s online transitional rug collection contains dozens of rugs perfect for completing your interior design scheme requiring harmonious elements, an eclectic touch and hint of traditional charm. Utilizing post-modern fashion trends and classic motifs also allows transitional rugs to acquire a uniquely minimalistic appearance while retaining a historical richness meant to pay tribute to the fascinating history of rug-making. Transitional rugs give you full reign to conceive a completely individualized look without being confined to one specific era of rug weaving history. Floral rugs are a mainstay in home decorating, but not everyone likes a crowded country spread design. If you enjoy flower, herb, tree and plant motifs, but don't care for country or European style, a botanical transitional rug might be just what you need. 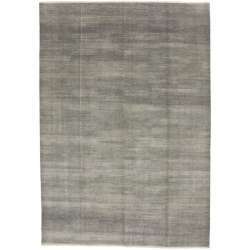 These rugs offer a mixed bag of stylized, dense, sparse and even Zen-inspired layouts. This gives you the freedom to add a splash of botanical or floral design without shifting your room's theme. Transitional floral rugs use color schemes not usually found in other styles, since many styles tend to be rooted in tradition. Transitional rugs also make use of little-seen plants as often as popular ones. Lush fern branches, often overlooked in European floral designs, are ready to take center stage. You won't find modernistic cherry blossoms on other types of rugs, but a design like that on a transitional rug is ready to bloom in any room. 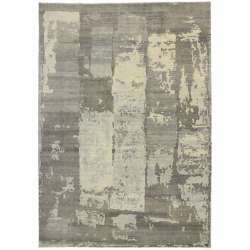 A good transitional rug is all about blurring boundaries and trying new things, without being tasteless. Mandarin-influenced transitional rugs feature peonies, bamboo, orchids and other Asian flowers, but without excess ornamentation. You might also find an almost retro-style repeated plant pattern or a modern bamboo forest done in hot new colors to create a stunning border. Think of the transitional floral rug as the ultimate in style blending — collage, modernistic shapes, new color palettes and respect for the designs of nature all rolled into one. For more information about our unique collection of transitional rugs, call Esmaili’s Rugs and Antiques at 214-651-7847 or contact us online.